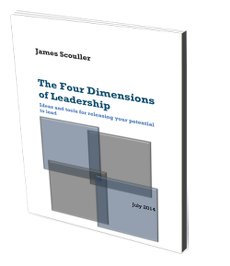 This page is for those who have read The Three Levels of Leadership and want to download one or more of the practical tools from chapters 3, 6 and 9 (first edition) or chapters 4, 8 and 11 (second edition). If you found The Three Levels of Leadership helpful and you would recommend it to others, I would appreciate it if you placed a review on Amazon saying what you liked about it and why. Here are links to the book's pages on Amazon: US Amazon + UK Amazon. Below you will find nine tools comprising three self-assessment exercises and six self-mastery techniques. The self-assessment exercises follow the frameworks in the book but are in a more ready-to-use format. This makes it easier to consider the questions, fill in your answers and decide your next steps. The self-mastery techniques are the same as those in chapter 9 (first edition) and chapter 11 (second edition). The only difference is that here they are ready to print in A4 or US letter-size format, depending on your printer setup. All nine tools are available below as free downloads. They are in PDF format so you will need to install Adobe Reader if it’s not already on your computer. Simply click on the tool you want and open the PDF file. (4) Disidentification & Centring ExerciseA daily exercise – a first step to freeing yourself from the habit of unknowingly identifying with your mind, feelings and body and bringing you into contact with your centre, your Self. This technique appeared in the first edition but was replaced by 4R in the second edition. (9) 4R TechniqueAn applied mindfulness techqnique to help you practise and instil new behavioural habits under pressure after you have dissolved your key limiting beliefs through self-enquiry. This appeared in the second edition.